How long did you wait between adding your filling and capping your molds? Was there enough time for a "skin" to form on the caramel? Did they warm to room temp before closing? 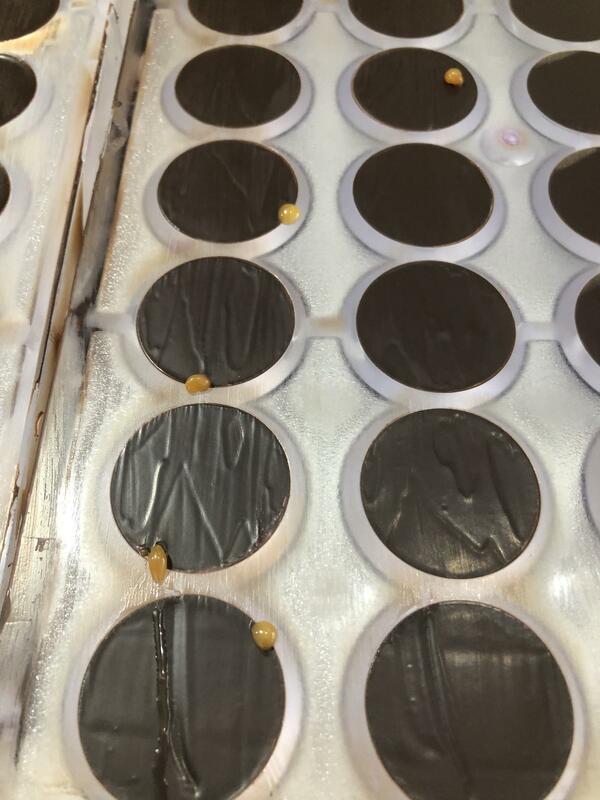 When I am sealing bonbons containing caramel, just before pouring the melted chocolate over the top of the mold, I pass a heat gun back and forth a few times over the top of the mold. I hold the gun (actually in this case a hair dryer) far enough above the mold so as not to melt the chocolate very much. The theory is that the heat slightly softens the edges of the bonbons so that the chocolate you are about to pour will bond more securely to the bonbon sides. I'm not entirely sure it works, but it seems to have lessened the leaking problem for me. Another thing I do is to take the caramel to a slightly higher temperature than "soft-ball" stage. It makes piping more difficult, but it also makes the caramel less runny and therefore less prone to leak out. If a filling is fluid, the laws of nature dictate that it will try to find a way to escape, and shells often have nearly invisible pinholes in them. I always do an extra ‘beauty coat” or two to (try to) get my bottoms perfect. 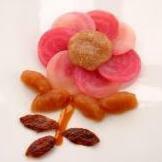 I won’t claim that my bonbons never leak, but another coat to fill in any thin spots may help. Thank you for this information. I did not know that people do it, I thought that it was just me and my poor chocolate skills, because this is what I had to do when I had a similar problem. The bottoms ended up thicker than I would like, though. Besides what all the others wrote, I suppose it's also a scraping problem. The caps in the photos are a bit too wavy, sign that you did not make a single firm scrape. If you scrape more than once, then most probably you are not cleaning the scraper between one pass and the other, so it will form some small holes along the caps, especially on the cavity sides. Similar if your hand is not firm and your movement is not precise. As far as I understand you are at the beginning of this adventure, so it's pretty normal to make these little mistakes, as you gain experience you'll get cleaner caps. Do you wait until the first coat sets before adding additional ones, or do you add one immediately after the previous? Do you wait until the first cost sets before adding additional ones, or do you add one immediately after the previous? Wait until it sets and contracts, then fill in the gaps.